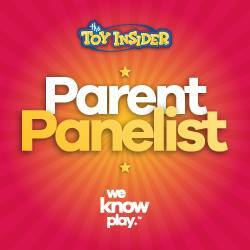 Disclosure: I received a complimentary product from PBS Kids. A Geek Daddy did not receive any financial compensation for this post. My kids loved watching Caillou on PBS when they were in preschool. This cartoon series features a four-year-old named Caillou (pronounced KY-YOO) who shares in a relatable way to preschoolers life lessons he learns through his experiences on the show. How to get along with his little sister, deal with being sick, learn to play sports, and getting ready to begin preschool are just a few of the topics Caillou explores with the help of his friends, parents, sister Rosie, and grandma. Wow has the summer flown by and with it already being early August the school year is just a flip of a calendar page away. If you have preschoolers or Kindergarteners who may be antsy about starting school, PBS Kids has released a Caillou DVD/Book Bundle that can help parents start a discussion about going to school with their little ones and provide children with some fun motivation to look forward to beginning a new experience in the fall. You can purchase the "Caillou Goes Back to School" DVD/Book combo on the PBS website for $12.99 plus shipping and handling. Between now and August 31, 2015 is also having a 15% off sale on all PBS Kids DVDs so if you order this combo pack in the next few weeks you can get it for a little less than the $12.99 listed price. This bundle features two items – the DVD “Caillou Goes Back to School,” which includes 12 stories, and an illustrated bonus book about riding the school bus. In addition to the episodes from the animated series, the DVD also features a video game that kids can play on a PC and some downloadable printable coloring pages featuring the characters from Caillou. Caillou is excited about showing Rosie the ropes when they visit the library. During storytime Caillou imagines he’s in the story, riding on a dolphin. Later he and Rosie argue over a book and accidentally tear it. He doesn’t want to tell the librarian, but finally musters up the courage to do so. The librarian turns out to be very nice and he helps her fix the book. And Rosie gets her very own library card! Returning home from the library Caillou is very eager to sit down and enjoy his pirate book. Unfortunately it’s a very busy day and he’s having trouble finding a quiet place to look at his book. Caillou finally finds the perfect place – in his closet! By the light of his flashlight he finally gets to enjoy his book and pretends he’s the pirate in the story digging up a buried treasure. It’s a rainy day at playschool and the children can’t go outside. Caillou makes up a funny story about a superhero who makes the rain stop – it’s Super Caillou! He tells the story to Jeffrey and Jason, and Miss Martin suggests he make his own storybook. She writes the story down and Caillou draws the pictures. By the time Mommy comes to pick him up, Caillou has his very own book to show her! Caillou is playing with the fridge magnets and learns lots of things about them. About what they stick to and what they don’t stick to – such as Gilbert! He even imagines himself as a human magnet superhero. In the end Caillou is able to apply what he’s learned and uses a magnet to help Daddy retrieve a metal peg from behind the workbench. 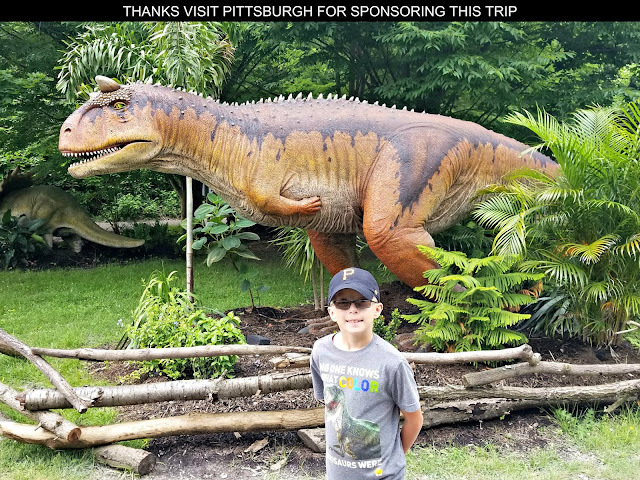 The whole family goes on a trip to the natural history museum to look at the dinosaurs. Caillou is really enjoying himself looking at the skeletons and learning about the different kinds of dinosaurs. When he momentarily loses the others he knows enough to stay put until Mommy comes back and finds him. And when he realizes he’s left Rexy somewhere he learns about the lost and found, and retraces his steps until he finds his dinosaur friend. Caillou wants to play with both his friends Clementine and Xavier in the playschool playground. Unfortunately Clementine wants to play bears and Xavier wants to play astronauts, and a little argument ensues. At story time Miss Martin tells them more about spaceships and astronauts and Caillou imagines he’s zooming around the galaxy exploring stars and planets. Back outside Caillou makes up a new astronaut and bear game so everyone can play together. Caillou’s crayons are all worn down or broken, so Mommy suggests a trip to the store for some new ones. Caillou helps Mommy remember what she needs to buy – he remembers the list of items by making a little song out of them. When they’re done they run into Sarah, and Caillou helps her find all her back to school supplies. Caillou’s playschool is on a special field trip to an apple orchard. The children really enjoy learning about apples and picking them too. Caillou imagines himself picking the biggest apple in the whole world. Afterwards they enjoy some fresh apple juice. By the time they get back on the bus to go home, Caillou and his friends are all ready for a little nap! Halloween is coming and it’s time to pick out a costume to wear. Soon Rosie has three costumes she wants to wear, but Caillou still hasn’t decided on what he wants to be. And time is running out! Finally a piece of blue fake fur gives him a great idea – he’ll be a blue monster! His parents help him fashion an odd but effective monster costume out of bits and pieces they find around the house. When Leo and Clementine arrive they agree that Caillou is a very scary-looking monster indeed! Mommy’s having a bad day – first she can’t find her car keys, then she and Caillou have to shovel the car out, and then the car won’t start! At playschool Caillou decides to make her a present to cheer her up. His first two attempts don’t turn out but he perseveres and makes her a picture of a sun – to melt all the snow! Jeffrey and Jason are coming over for dinner – it’s a make-your-own pizza party! Caillou feels he is an expert at this and starts to show them how to do it. When the twins both opt for less-than-traditional ingredients Caillou is upset that they’re doing it all wrong. In the end, however, their pizzas turn out just fine and Caillou learns that everyone has their own unique way of doing things. Caillou’s got a brand new painting shirt and decides to paint something for Grandma. He has a little trouble deciding what to paint. He wants to use all his colors and paint all his favorite shapes. Mommy tells him that paintings don’t have to be about something and he proceeds to make his own abstract painting! Meanwhile Rosie and Daddy are pressing a flower for Grandma. When Grandma arrives she is thrilled with her very artistic gifts. Caillou is produced by DHX Media and can be viewed on PBS' children's cable network Sprout and during PBS Kids programming on select local broadcast stations across the country that have included the show on their viewing schedule. If you have an in-car DVD, "Caillou Goes Back to School" would be a nice way to keep a child from asking "are we there yet" throughout to drive on an end of summer road trip or it also would be a nice video to put in the DVD player at home on a hot summer day when it probably is better to stay indoors than go outside to play. 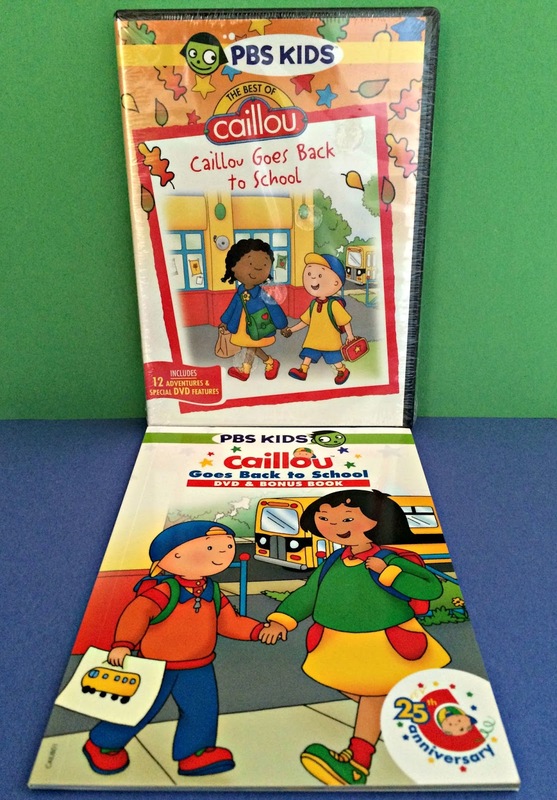 Caillou has been one of my kids favorite PBS characters and I'm sure yours will enjoy him too! This DVD is probably best suited for children in the 3 to 5 years old age range, especially those that may be going to preschool or kindergarten for the first time. CLICK HERE to order your "Caillou Goes Back to School" DVD/Book combo today from PBS Kids.